Outside Dimensions: 16"L x 16"W x 16"H. Inside Dimensions: 11.9"L x 11.9"W x 11"D .
DCN 17-in/43cm diam. x 19-in/48cm tall VIVA Contemporary Design Round Planter, Mat textured Finish, Black in colour. Self-Watering with large water reservoir. Drill out drainage point for outdoor use. 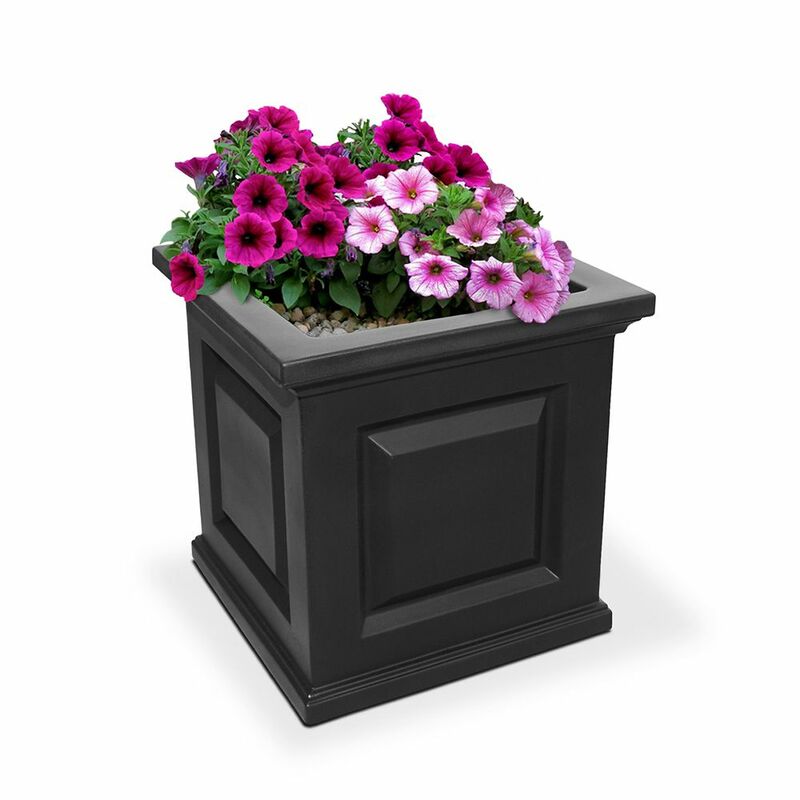 Nantucket 16-inch x 16-inch Planter in Black is rated 4.0 out of 5 by 1.